Writing an OPC Client? Just a few lines can do it. Or bind to OPC data with no coding at all. Rapid integration. Free trial. Welcome to OPC Labs! 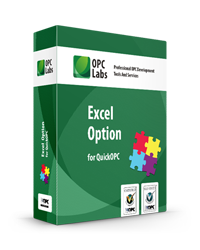 OPC Labs, an independent software vendor, develop advanced software based on OPC technology. We provide commercial off-the-shelf automation software. Our flagship OPC toolkit, QuickOPC, is a set of OPC components allowing rapid client application development using wide range of programming tools and languages. 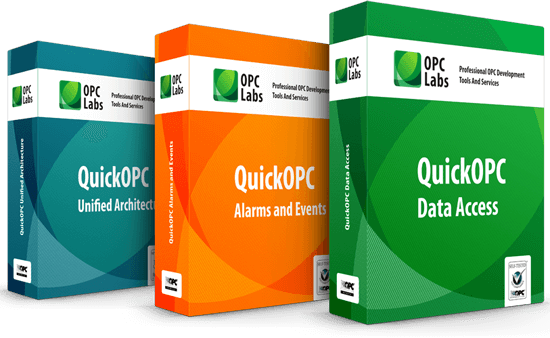 QuickOPC is a radically new approach to access OPC data. It is an ideal tool for integrating OPC connectivity into custom applications, or publishing OPC data on the web. QuickOPC gives unbelievably short code to access OPC data and events. In addition, using complex heuristic algorithms to optimize itself on the fly, QuickOPC provides the most efficient, fastest access to the OPC data. The same code simplicity is maintained in other programming languages. Click the link to explore the corresponding examples in Visual Basic (VB.NET). QuickOPC (by the means of its Connectivity Explorer application) is certified for compliance by OPC Foundation Certification Testing Laboratory. For OPC Unified Architecture, it is the first product of its kind (.NET-based client toolkit) that has been awarded this certification.